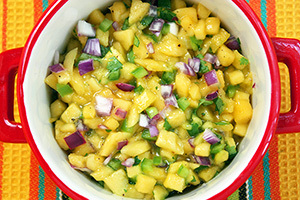 3 Comments on "Mango Salsa"
are all your recipes heart healthy,I’m looking for recipes that are heart healthy for my husband. I would say most of my recipes are heart healthy but I also make pizza. With heart health at stake, why not take a little time to do some research and keep a list of what is heart-healthy and what’s not and then you can determine on your own which recipes you should make. For example, cheese is not considered heart-healthy while fish and avocados are. It’s very simple and basic information you can easily find and I encourage everyone to have this basic knowledge. 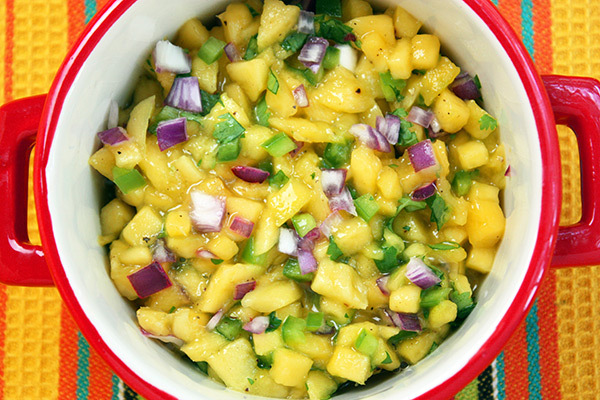 By the way, my mango salsa is heart-healthy. If you still have a specific recipe you want to try and are not sure, feel free to ask. thank you , jenny for replying back to me I was wondering more if your cakes and chicken dishes were considered heart healthy also .I so very much appreciate you getting back to me.